Ellie is amazing, and I can’t recommend her more highly! Our daughter surprised us by coming a bit early, and I had only met Ellie for the first time 5 days before I delivered. We hadn’t even had time to have our pre-birth plan meeting, but when I called her to say it was go-time, Ellie was at the hospital within an hour. It was very important to me to have a natural birth, and I can say without a doubt that if Ellie had not been with us during labor, the chances of me sticking with that plan would have been pretty slim. As a first time mother, I didn’t know what to expect with labor – turns out its a pretty long and intense experience! My all things went relatively smooth, it was still 14 hours – that would have been a long time sitting in a room with my husband while the nurses occasionally checked in on us. Having Ellie there kept both me and my husband calm. She gave him instructions on how to support me through contractions, she reassured me that everything I was experiencing was normal, and she helped me get through each contraction. She has a wonderful presence and she’s incredibly capable – if we are fortunate enough to have a second child, Ellie will be there with us for sure! Ellie gave me and my family the greatest gift: the umedicated birth of our second child. Ellie’s knowledge and passion guided us to the most perfect birthing day. Our child received the gift of entering this world peacefully and without medication and I received the gift of restored confidence in myself as a mother and in my body that was designed to birth in this way. The way in which I birthed our first child left me confused, frustrated and lacking confidence. When we became pregnant with our second, we decided to find a doula to help us have a more positive birthing experience. We couldn’t be more thankful that we found Ellie. It was a perfect match. Ellie is incredibly knowledgeable, quick to respond to any questions and is the reason why we were able to have an unmedicated, peaceful and beautiful birthing day for our second child. She gave me the confidence and knowledge that I needed to birth in this most natural way. During the birth, Ellie used essential oils, soft lighting, coached and guided me through every surge, used the rebozo for counter pressure and fed me water and ice chips. Her presence gave me peace and strength at the same time. Post birth, she gave me an essential oil foot massage that lulled me to sleep and I was able to get some rest. Two days after our birthing day, Ellie sent us the pictures of our birth experience and they brought joyful tears to my eyes. To see how relaxed and limp my body was, even though I was working hard mentally, was a beautful sight. This birthing experience has healed me in many ways and I will always be thankful to Ellie for this incredible gift. Because of Ellie, I no longer fear childbirth as I did after the birth of our first child. I no longer doubt my body or my mental strength. My husband and I have the utmost respect for Ellie and we will always be thankful for her. Should we be blessed with another pregnancy, Ellie will be one of the first to know! I was lucky to work with Ellie in two capacities. She was my hypnobirth instructor and I also hired her to be my Doula. She is amazing. Before meeting her I didn’t really understand what a Doula was and now I can’t imagine not having one! To say I was terrified to give birth is an understatement and having Ellie was invaluable. As a Hypnobirth instructor Eliie is knowledgeable and reassuring. I learned techniques that were so helpful in preparing me for childbirth and helped me turn my fear into empowerment. After my first class, I was convinced that I wanted Ellie to be my Doula as well. Ellie is confident, kind, and professional. She made me feel like I was her priority and she was with me (and my husband) every step of the way. She listened to my fears and helped me work through them and helped us create a birth plan that met our needs. I felt comfortable calling her anytime to ask questions or get advice. During labor either myself or my husband was on the phone with her every couple of hours or so and she had a clear plan to help me keep my labor moving along. When it was time for her to meet us, Ellie was the calming presence I needed to stay centered and present. Ellie is also a lactation consultant which was an added bonus as not all Doulas have this certification. i was so thankful to have her support with breastfeeding after my baby was born. Feeding my baby ended up being much more difficult than I had expected and having Ellie’s support was extremely helpful. I just love Ellie and recommend her to you without reservation! Working with Ellie as our doula was one of the best decisions my husband and I made. Her knowledge and passion combined with her kindness and great sense of humor made it easy to work with and trust her throughout the process. From my first phone conversation with Ellie I knew she was someone I’d like to work with. We decided to take our childbirth classes with her as well. We found this was a great way to get to know her more outside of the prenatal visits. I’m so glad we did! The class was just us and one other couple so we got lots of individual attention. It was also really nice to learn the HypnoBirthing techniques from our doula. I knew that what we were discussing in class would be exactly what we would be using during labor. During labor/delivery, Ellie was indispensable. I don’t think the day would have gone as smoothly without her. I ended up having to be induced at 42 weeks which led to a rather intense labor. With Ellie’s assistance I was able to have the natural birth I was hoping for. Having her there let my husband relax and stay with me. Ellie kept everyone focused and took care of logistics based on my birth wishes as well as helping immensely with managing contractions. Without a doubt, I would work with Ellie again for any future children. And my husband feels the same way. 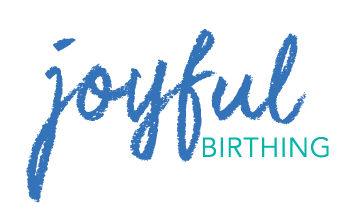 Ellie is a truly amazing doula that I highly recommend! She is a kind, nurturing soul who has a wealth of knowledge and experience surrounding natural childbirth. I am so grateful she played such an integral role in bringing my son into this world. Ellie was by our side from start to finish…a total of 28 beautiful laboring hours! Her support and care was beyond exceptional! It was extremely important to have a doula who both my husband and I connected with. This connection seemed almost immediate! Ellie listened to our needs and wants and shaped our birth experience based upon those wishes. Not only did we fall in love with Ellie but the staff at MGH did as well. Her warm and professional character caught the ears and eyes of the MGH staff. Multiple nurses, midwives, and doctors spoke very highly of Ellie, some even asking for her contact information for future recommendations. Having Ellie be a part of our birth experience was the single best decision my husband and I made. Do not hesitate for a second having her peaceful, beautiful energy involved in the birth of your little one! We used Ellie as a birth doula for the birth of our daughter in January 2018 and then also followed up with a lactation visit. Her presence throughout the process provided us with a huge piece of mind, comfort, calm and reassurance. This was our first child. While I work in healthcare and have a good amount of medical knowledge about labor and delivery itself, there is so much I didn’t know and so much that you just can’t know until you’ve had the experience yourself. There are also a lot of factors to consider that may not be initially obvious and having the experience of someone like Ellie allowed us to be more fully equipped in navigating the process. From the initial visit with Ellie, I felt like my needs and intentions for my birth experience were truly heard and appreciated without judgement. My husband was quite nervous about the whole process and Ellie helped give him some tools to feel more empowered and ready to take on whatever came our way. I opted for an epidural and Ellie stayed with me while my husband stepped out of the room (he doesn’t do well with needles)– she even managed to keep my distracted as the resident was receiving step by step instructions on how to place the epidural!! She provided LED candles and an essential oil diffuser, ensured that lights were kept low throughout the labor and delivery process– all creating a more calming and conducive environment for the arrival of our baby girl. Every doctor and nurse that came into the room stated they felt like they were entering a spa. Ellie worked well with the medical providers and I believe even had some things to teach them (peanut ball and pushing positions!!). Once we arrived home, Ellie continued to stay in touch with us and provide support, especially with breastfeeding which was immensely useful. Overall, having Ellie at the birth of our daughter was one of the best decisions I’ve ever made- I would recommend her to anyone and everyone! Working with Ellie was one of the best choices my husband and I made to prepare for the birth of our third child! I was blessed with an absolute “textbook experience” for my first natural birth, but was left disappointed the second time around. Although I had a safe, natural delivery again, I didn’t feel that I was in control, and therefore lost the trust I previously had in myself. I made it my mission to find the “dream team” for baby number 3. As soon as we met Ellie, we knew from her calm demeanor, knowledge of childbirth and confidence in the body’s ability to labor naturally, that she was the perfect fit. Ellie worked closely with us as we approached my due date and found out that my fluid levels were becoming dangerously low. She helped me trust that I would still be able to birth naturally, and remain in control of my experience even when the decision to induce labor was made. On the day before induction, she remained in close contact via phone, text, and email, allowing us to know she was there. When I began a Pitocin drip, she headed to the hospital to join us. Ellie came armed with everything short of a spa. She provided rebozo techniques, acupressure, massage, and mantra repetitions with me in the soothing environment she created through aromatherapy, music and LED candle light. It was wonderful! Ellie worked tirelessly with my husband and the hospital staff to create the best plan for helping to move labor along with as little intervention as possible. With her advice and guidance, we welcomed our son Thomas to the world after just 2 hours of hard labor, and an amazing 7 minutes of pushing. The trust I had in my body, and my willingness to surrender to the idea that birth happens naturally was what made it possible…and Ellie was a huge part of that success. I can’t imagine a better way to have completed our beautiful family of 5!